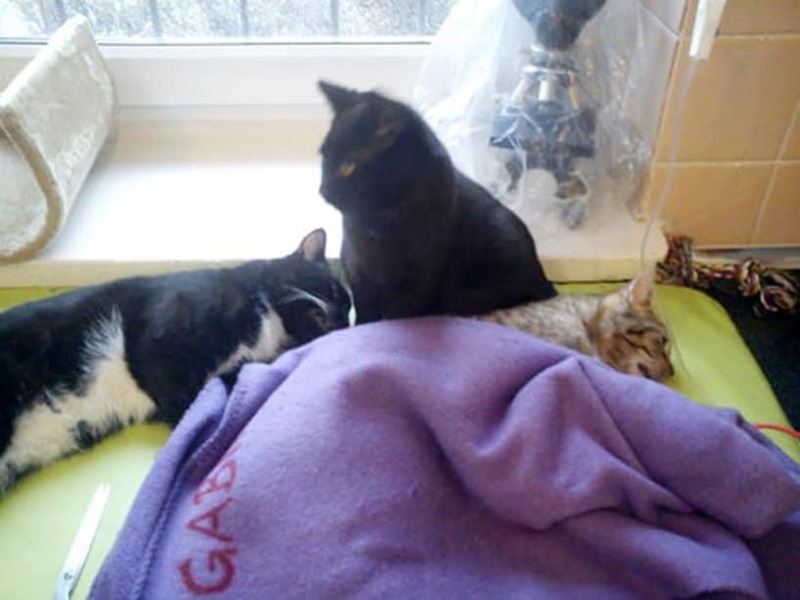 Most of the time, cats are known for being distant, uninterested, and for showing a lack of affection. In fact, cats are usually recognized for their disdain for other animals as well. Anyone who owns a cat and has tried to bring another animal into the house knows what we’re talking about. 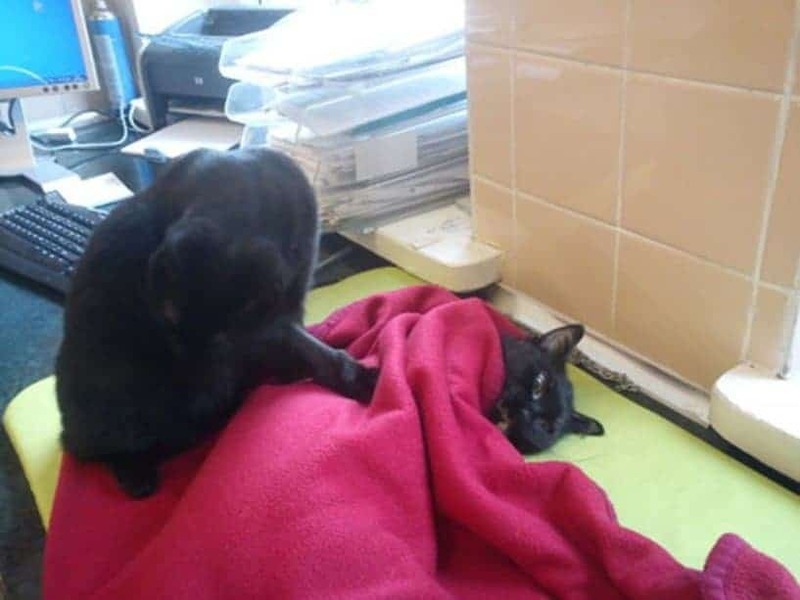 Cats aren’t particularly friendly or loving. 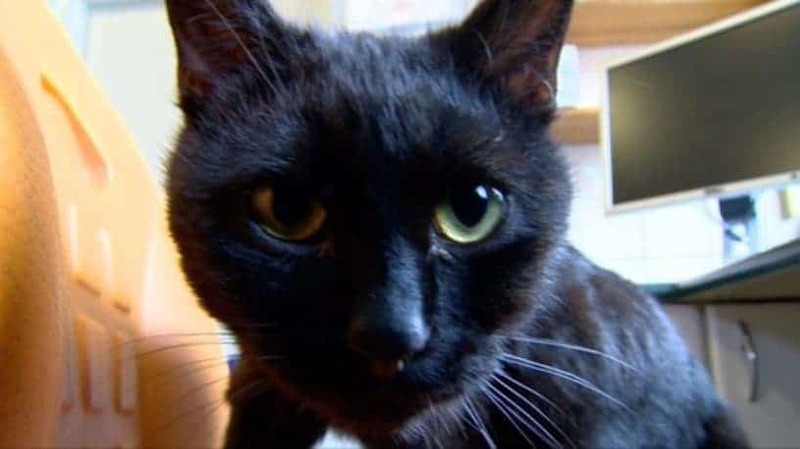 However, in an animal shelter in Bydgoszcz, Poland, there is a little black cat named Radamenes who does the complete opposite of what a normal cat does. 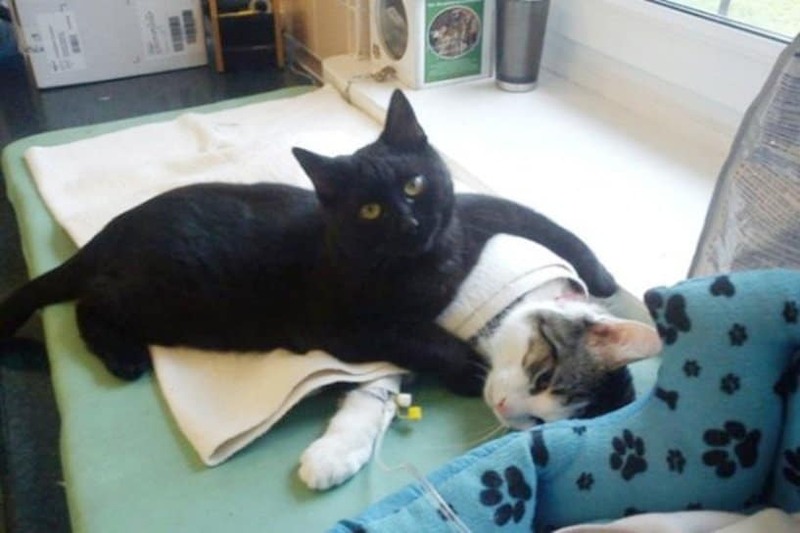 After being miraculously rescued, he has become a frequent visitor at the hospital, often cuddling, hugging, and sometimes even cleaning other animals. 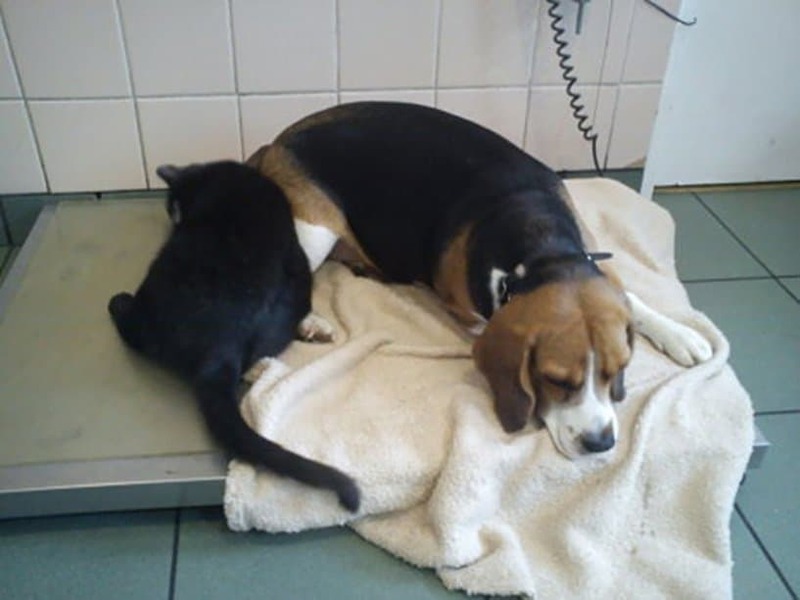 He was originally brought into the animal shelter because he was suffering from a respiratory infection. 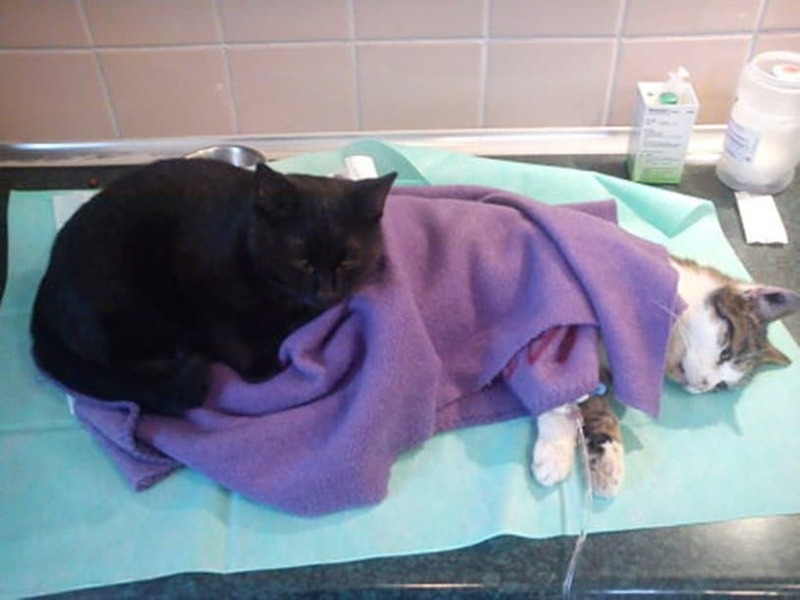 His condition was so bad that his owners thought he would have to be put down. 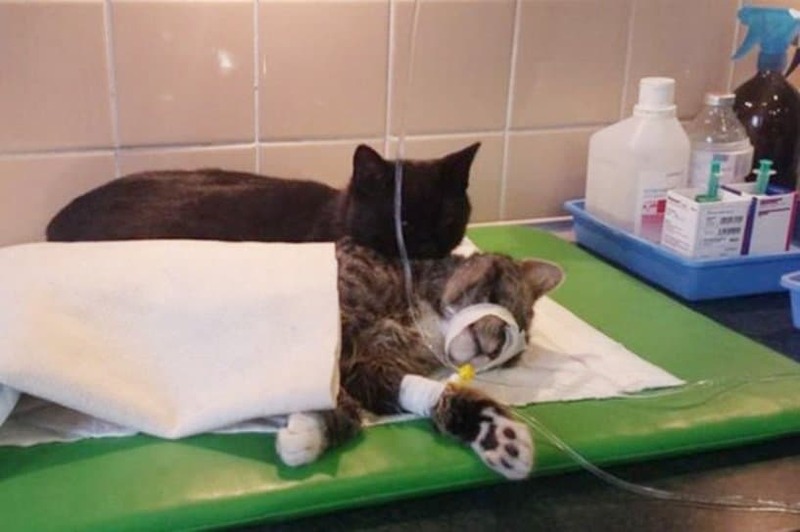 Veterinarian Lucyna Kuziel-Zawalich took a liking to the sick cat and nursed him back to health before taking Radamenes in as her own, as the owners were considering euthanasia. 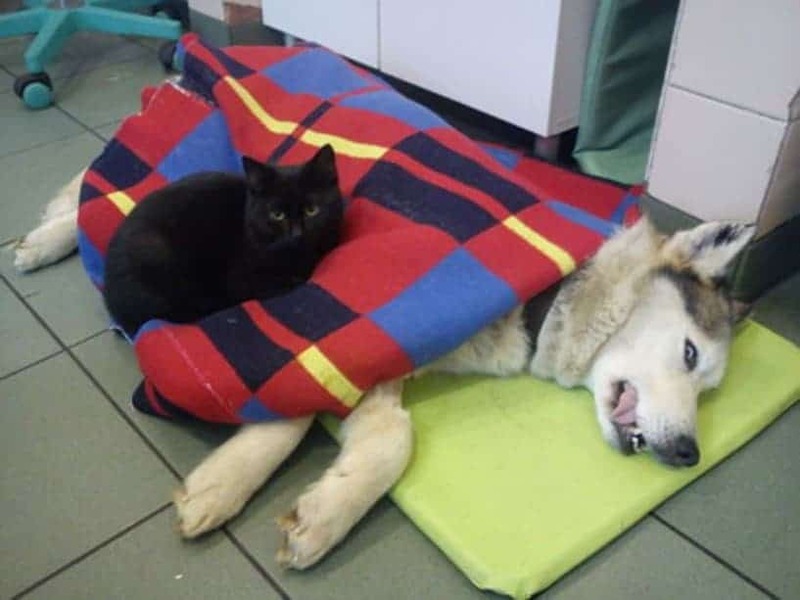 He spent a lot of time in the hospital recovering, and the hospital staff were continually surprised to discover him cuddling with the other animals in the shelter. He spent an awful lot of time hugging and even cleaning the animals around him. He especially seemed to spend a lot of time with the animals who had recently underwent a major surgery. Even after he was discharged from the hospital, he continued to come back and visit, almost as if he felt a sense of duty or responsibility. 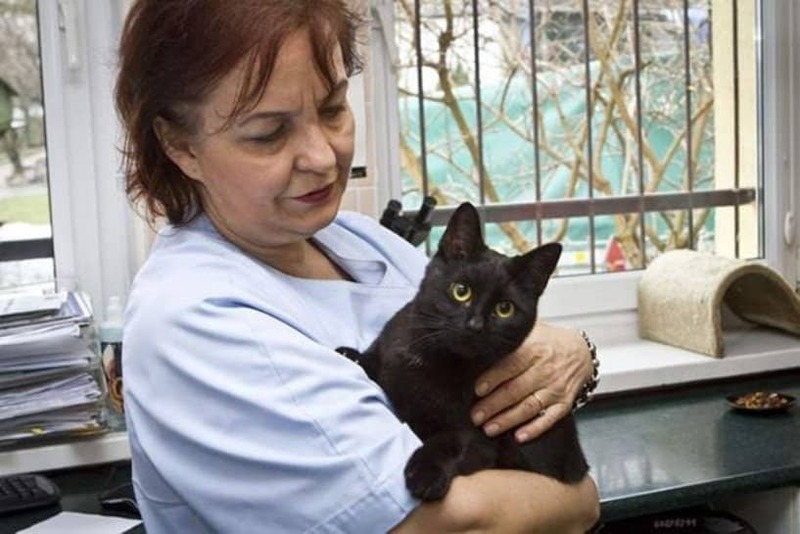 Staff members at the shelter say that he performs the duties of a full-time nurse, and some even affectionately joke that Radamenes is their mascot! Radamenes’ story has become fairly well-known and it is a testament to the level of compassion that can be shown by an animal. If he can do it, why can’t we? Radamenes has become a local attraction, and people actually visit the shelter just to see him, for good luck! We guess cats aren’t as disconnected as we thought they were. 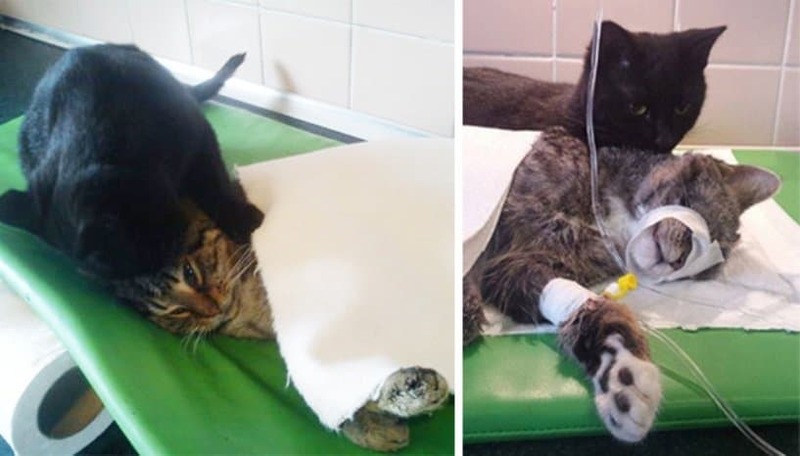 Cats can clearly be loving, caring, compassionate animals too!